Young people spend hours online each day online, and their abilities to multitask and communicate are often misunderstood by older generations. 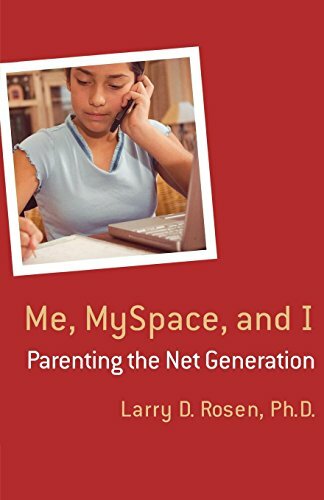 Dr. Larry Rosen offers a full overview of the various issues young people may experience in their online worlds (cyberbullying, addiction, sexuality, virtual friendships, and more) while at the same time challenging commonly held beliefs that these communities are damaging. Instead of using scare tactics, the book shows parents how to be proactive and anticipate potential problems. With his extensive background in both child development and the impact of technology, Dr. Rosen uses down-to-earth explanations of sound psychological theory, incorporates groundbreaking research, and shows parents and educators how social networking sites like MySpace and Facebook can improve adolescent socialization skills. Release date December 26, 2007.